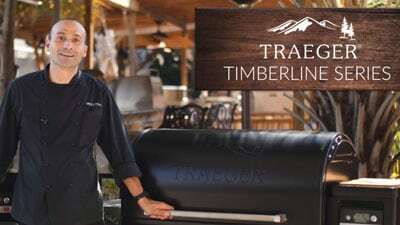 Considered one of the best pellet grill brands in the industry, Traeger doesn’t stop at just manufacturing; they also create great grill covers. Designed to fit each Traeger model perfectly, these covers protect your grill from the harsh or unpredictable weather and outdoor elements. They also protect your grill from corrosive agents like lawn chemicals, acidic bird droppings, and salty air in coastal regions that can tarnish the metal. Your Traeger investment is worth protecting! Traeger covers are made of durable all-weather material. Protecting your grill with a high-quality cover extends its life, and helps maintain your Traeger’s great condition for many years. Under normal use, these covers can give you several years of protection. Your grill will love you for it. Smoke year-round with a Traeger smoker cover insulated blanket. You can use your Traeger grill in freezing weather without losing precious heat. Recommended for use when temperatures are below 35 degrees, a Traeger insulation blanket helps maintain constant grilling and smoking temperatures and prevents excessive pellet burn-through when it’s cold outside. It even works in snow and prevents frozen precipitation from cooling your grill and creating condensation on the inside of the hood.